More than 30 sitting judges of the Supreme Court and various high courts are attending the 'Human Values and The Legal World' conference Andhra Pradesh. 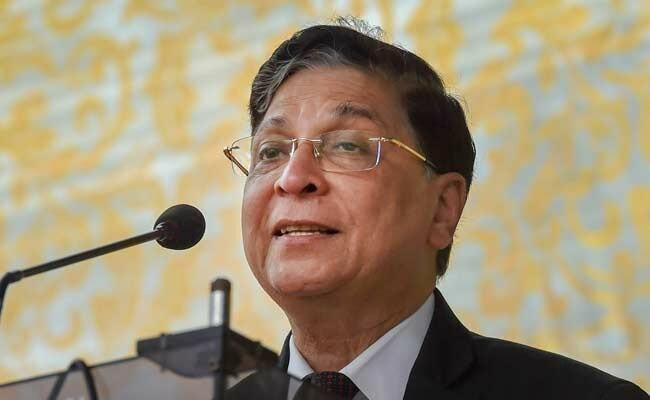 Chief Justice of India Dipak Misra said on Saturday that dharma sustains society and maintains social order, besides ensuring well-being and progress of humanity after inaugurating a two-day conference on 'Human Values and The Legal World' in Puttaparthi, Andhra Pradesh. Making distinction between human values and human rights, Justice Misra said one can only enjoy human rights when he or she do not bend others' rights. "There is distinction between human values and human rights. We need to protect human rights by expressing human values. One can enjoy one's human rights without bending the human rights of others. You should also not disturb the human values of others," he said. He further said if human values are lost the entire edifice will crumble and emphasised the need for imparting justice with human touch. "Law and justice is blended with humanity," he said. Paying tributes to religious leader Sathya Sai Baba, he said one can attain peace by only abandoning one's ego. "The centrality of idea cannot be ego. The way to peace is the annihilation of ballooning of perpendicularism, which in spiritual terms, means elimination of ego. This is the culture of India and this is what Baba (Sri Sathya Sai Baba) preached," he added. Talking about importance of spirituality and humanity in life and legal world, Justice Misra said spirituality is not beyond rationality and rationality is not bereft of spirituality, and hence there has to be a synthesis, amalgamation, synergy between them. "My spiritual and moral summoning has brought me here. There is no need for a tussle between science and spirituality.... There are three spiritual aspects, namely divinity is humanity, thoughtless thought is spirituality and remaining in constant nowness is physical and economic morality," he said. Laying emphasis on the importance of surrendering to divinity, he said one's imagination will not solve problems and the rationalisation will not provide answers to problems either. "Only thing, which offers a solution to the problem, is surrender. Like you say to Baba I now surrender before you," the CJI said. Among other dignitaries, present on the occasion included International Court of Justice Judge Dalveer Bhandari, Supreme Court judge Justice N V Ramana, Andhra Pradesh High Court Chief Justice TBN Radhakrishnan, former top court judge and NCLAT chairperson S J Mukhopadhaya.